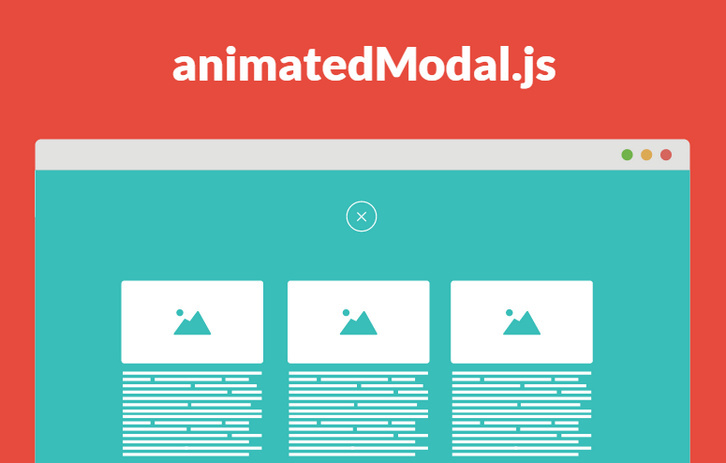 AnimatedModal.js is a jQuery plugin to create a fullscreen modal with CSS3 transitions. You can use the transitions by animate.css or create your own transitions by yourself. It supports Firefox, Chrome, Safari, Opera and IE 10+. It is licensed under MIT License.